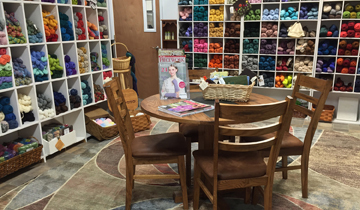 The Quiltzette: Yarn Sale Continues, Take A Class To Combat January Blues! Our Yarn Department clearance sale continues. 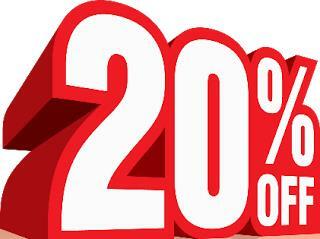 Come in now to take 20% off all yarn, notions, books, etc. Yarn is going quickly . . . come in soon! 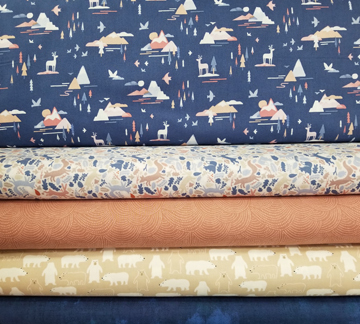 This playful woodland-themed collection arrived today. Navy blues and tans give this fabric a masculine feel. Back by request . 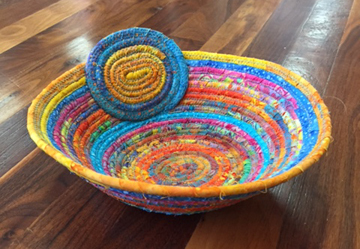 . . Make fabric baskets in a variety of sizes and shapes using clothesline and strips of fabric. Sign up today. This class always fills quickly. Aimee King will teach this class. Little bags for little things. Make the Maggie Bag in one of two sizes. Use for a cell phone or camera and carry by its leash. 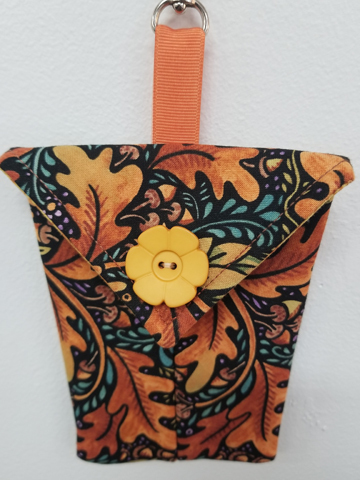 Or, add ribbon and a clip like the one shown here and attach it to the inside or outside of your purse, tote, or backpack. Judy Bryan will teach this class. February is National Embroidery Month, and we are going to celebrate by offering the two following classes! Be sure to sign up early, as spaces are sure to fill up! Help us celebrate National Embroidery Month! 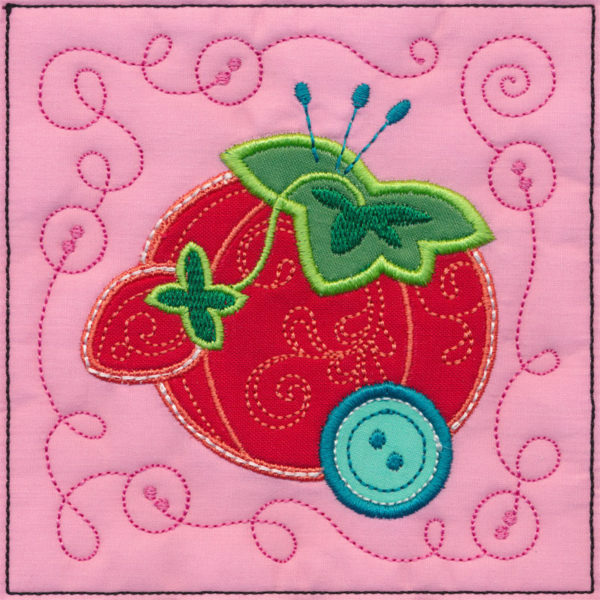 This class is perfect for your first embroidery project. 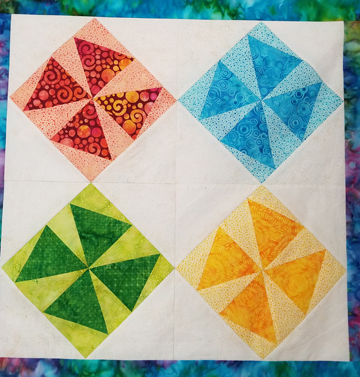 We will assist you with the entire project – from how to access Embroidery Design Studio to download your project to appliqueing and quilting right in the hoop. 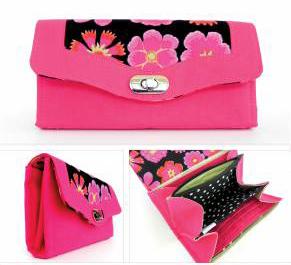 This class will give you the confidence move to the next step with your embroidery module. Class taught by guest teacher Sandy Cressler. Help us celebrate National Embroidery Month! 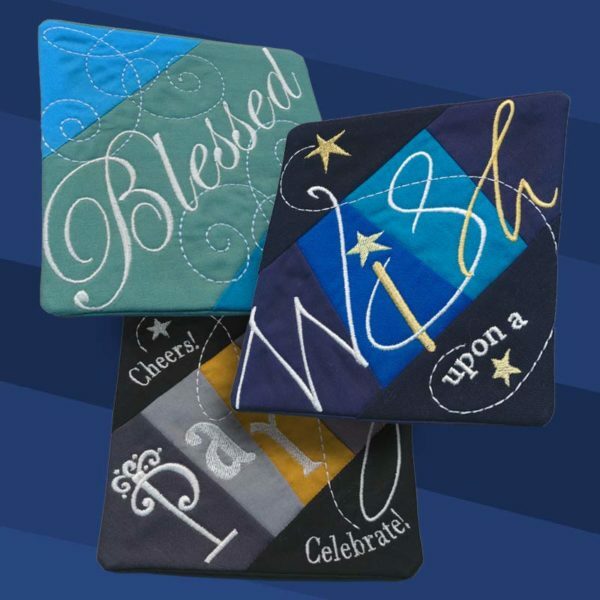 These coasters, found on Embroidery Design Studio, feature a fun paper piecing technique that creates great texture and opportunities for color customization. Each one features bold typography and whimsical accents that enhance each coaster’s unique theme. Cindy Dahl will be your instructor. Two nice gentlemen came into the shop last week. 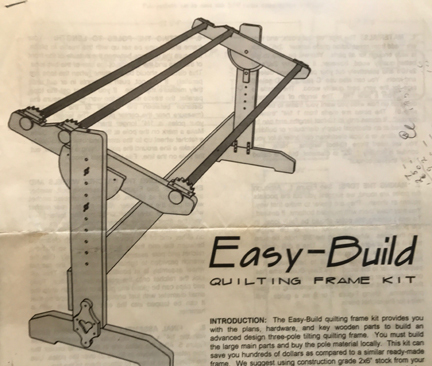 Their father passed away recently and he had built a quilting rack for his late wife. They are looking for a good home for this item. If you hand quilt contact Russell Hammer at 602-622-2597 or racefan24.rh@gmail.com for more information.